The yacht charter is a practice that moves upward year after year in almost everywhere. This service used to be exclusively for tourists with higher purchasing power, but actually is an option for all budgets. Today there is a wide variety of yachts and sailing boats models, with different features tailored to the needs of each client. CharterPhilippines.com does not charge customers for this service, the full amount is paid to the charter company or boat operator. Please check our FAQ section if you have questions about the operation of this website, and feel free to contact us if you need some extra explanation. 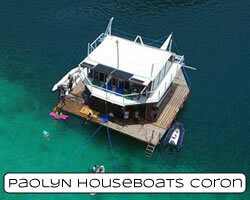 The charter companies interested in adding their boats to this website, please contact us. We can make your business grow like never before.